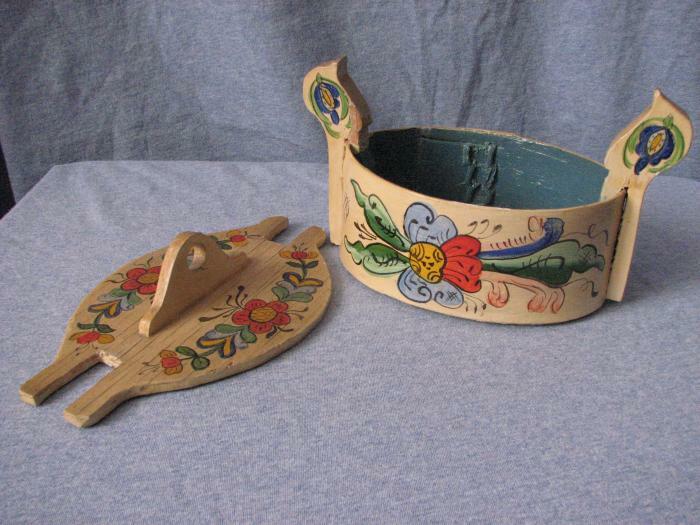 Small Norwegian bentwood box / Tine with rosemaling by Per Lysne. It is cream colored with red, blue and green rosmaling. The inside is painted blue. The flat wooden cover has a small handle in the center and is held on by two decorative protrusions.